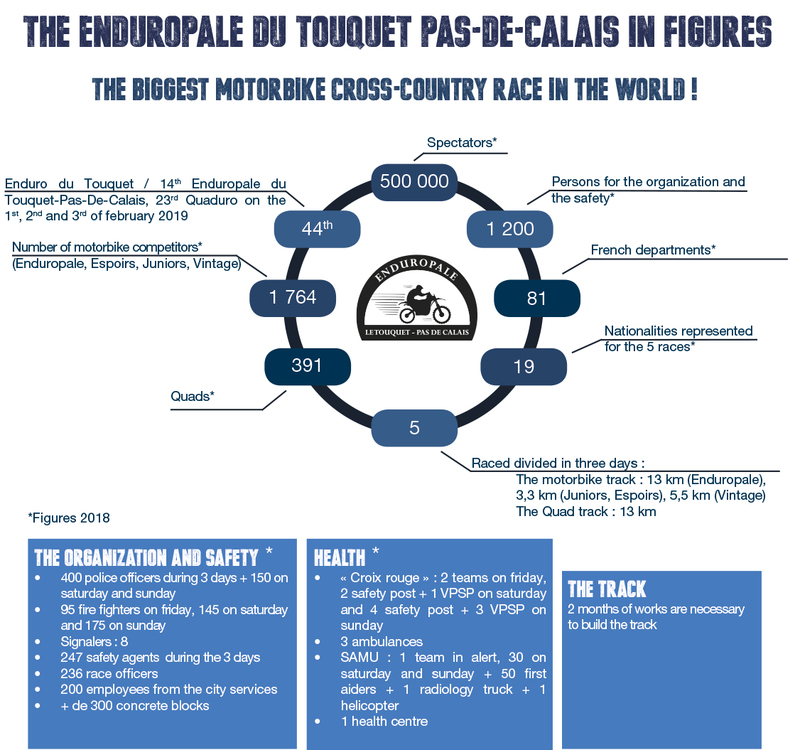 Mythical race, the Enduro du Touquet gathers each year, for 30 years, around 2000 riders, women and men, professionals, anonymous or passionate of mechanical sports in 2 or 4 wheels. 1975 : Thierry Sabine, PR in Le Touquet-Paris-Plage, decide to adapt in France the mass enduro races existing in USA… 286 competitors have participated to the first meeting. 1981 : KTM decide to get more involved by bringing its best sand experts, as the Dutch Kees Van des Ven. 1989 : 1100 riders compete ! 1992 : Yann Guédard wins for the fist time with a 250 cm3. 2005 : The organization of the race is officialy taken by the resort services in collaboration with the FFM. 1000 motorbike riders and 238 teams registered. The holeshot is won by Cyril Despres, who offers its bonus to the school created in Dakar by Fabrizio Meoni, who died during the 2005 Dakar.  2006 : At first called «Enduro du Touquet», the race is renowned «Enduropale du Touquet Pas-de-Calais / Quaduro». The young Timotëi Potisek wins the motorbike race. 2011 : The track changes its direction ! 2012 : An inhabitant of Le Touquet-Paris-Plage, Jean-Claude Moussé, wins the Enduropale for the centenary of the resort ! 2015 : 40th anniversary of the Enduro du Touquet and 10th Enduropale du Touquet-Pas-de-Calais. At this occasion, the legendary race sees the creation of a new trial : the Enduro Vintage, an exceptional race of motorbikes before 1990 ! The previous winners took symbolically the start of this first edition, won by the Belgian Johan Boonen.